Saïtane is the story of how absolute power corrupts absolutely. 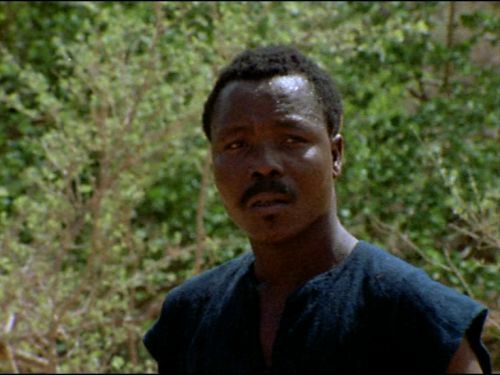 The protagonist, played by Oumarou Ganda himself, is an all-power sorcerer who has great supernatural abilities to control all affairs in his village. In exchange for extravagant gifts and riches, the sorcerer promises the village’s citizens various wishes for love, good health, and bountiful harvest. This great power, however, corrupts the sorcerer and leads to rebellion by the villagers. The sorcerer, on the brink of humiliation and ridicule, kills himself in an attempt to regain control over the only thing he can control, his death. The film serves as a modern-day cautionary tale against the pitfalls of singular, absolute power in a political structure and encourages the critical thinking and consequent revolt of the oppressed against such regimes.